TEL AVIV (Sputnik) - Israeli Prime Minister Benjamin Netanyahu said Sunday that he would not agree with attempts to deprive the United States of its role as the main mediator in the Israeli-Palestine settlement talks. "I have a message to Abu Mazen [Abbas' pseudonym]. There cannot be a replacement of the leading role of the United States in the political process. The one, who does not want to discuss peace with the US side, does not want peace," Netanyahu said at the meeting with Israeli ambassadors. Earlier in the month, Palestinian leader Mahmoud Abbas said that Palestine did not recognize the United States as a mediator in the settlement of the conflict with Israel. The move was made against the backdrop of the recent decision of US President Donald Trump to recognize Jerusalem as the Israeli capital and to relocate the US embassy from Tel Aviv. "We said 'no' to Trump. We will not accept the so-called 'deal of the century'… We will not recognize the United States as a mediator in the negotiations with Israel," Abbas said at an extraordinary meeting of the Palestine Liberation Organization's Central Committee devoted to Washington's recognition of Jerusalem as the capital of Israel. The US authorities have stated on numerous occasions that Washington has been preparing a "deal of the century" that will ensure a comprehensive regional peace process and will put an end to the Israeli-Palestinian confrontation. Nevertheless, the details of the plan remain unclear. 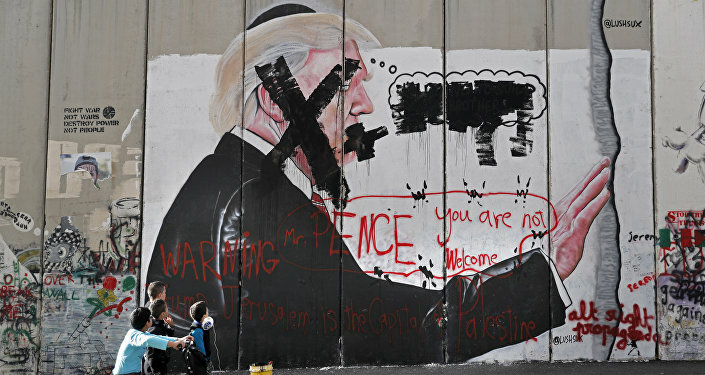 For decades, Israel has been in conflict with the Palestinians, who had been seeking diplomatic recognition for their independent state on the territories of the West Bank, including East Jerusalem, which are partially occupied by Israel, and the Gaza Strip. Tensions between Israel and Palestinians flared up after US President Donald Trump's December decision to recognize Jerusalem as Israel's capital and relocate the US embassy to the city from Tel Aviv.